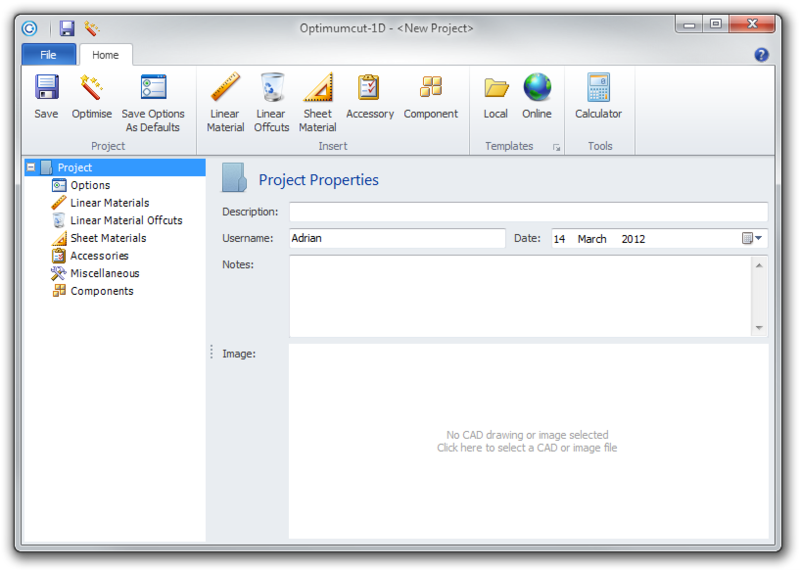 The main form of Optimumcut-1D provides the functionality for creating, viewing and editing projects. In the titlebar of the form is the quick access toolbar which replicates the most commonly used features from the ribbon. 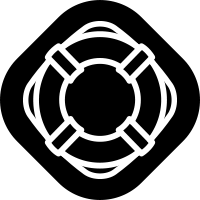 The ribbon control contains a File page which provides access to all file related functions and a Home page which provides access to the commonly used functions within a project. The left-hand side of the form provides a high-level overview of the current project. The main part of the form in the lower-right corner contains the editor for the currently selected item in the project overview.